Kennedy Soft has accomplished multiple successful implementations of Oracle E-Business Suite providing fully integrated E-Commerce Order Capture, Inventory Management, Financial and Business Management and Reporting Services to our clients. These include the integration of third party technologies and the complex Electronic Data interchange (EDI) that makes it all work. We provide full ERP Support throughout the operation of daily business. 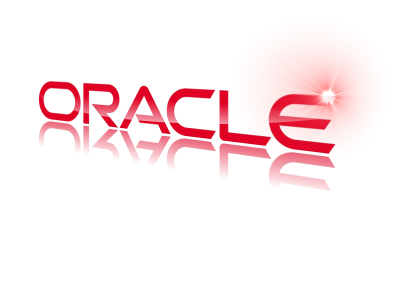 We supply Oracle Certified Implementation Services including ERP Database Management in support of our clients. We offer deep skills in Purchasing Automation, Notification, HRMS and CRM Implementation. Oracle and Kennedy Soft offer strategic IT Services providing the most complete integrated services on a global business platform. E-Business Suite features reduced downtime and shorter upgrade cycles supporting true Enterprise-wide Operating and Financial Systems. We put tools of excellence and agility in the hands of management. E-Business Suite provides Customer-focused Applications in a fully supported environment – that will continue into the future. The applications in Oracle E-business Suite are built on a unified information architecture that consolidates data from Oracle and non - Oracle applications and allows a consistent definition of customers, suppliers, partners, and employees across the entire enterprise. The result is a suite of applications that can give you current performance metrics, financial ratios, profit and loss summaries, and other types of information that roll up across all departments, products, and geographies. Because Oracle's integrated applications significantly reduce the need for software integration, data translation, and software customization, you can often reduce your IT expenses. Whether you implement one module or the entire Suite, Oracle E-Business Suite can help you make smarter decisions with better information, share unified information across the enterprise, reduce IT expenses, and run your business more efficiently. Oracle E-business Suite is the only software that can provide a complete suite, end-to-end process automation and unified information architecture - for immediate access to high-quality business information. Oracle E-business Suite consolidates data from Oracle and non - Oracle applications to help you create a consistent definition of customers, suppliers, partners, and employees-so your business naturally works smarter and more efficiently. You can create a single source of truth for daily business intelligence that makes information instantaneously available in customizable portals, viewable by line of business, geography, department, or products.